Eczema is a skin condition that inflames the skin, causing rashes and other adverse effects. Eczema affects over 30 million Americans, according to the National Eczema Association. Christina Fortune is one of those Americans suffering from eczema. 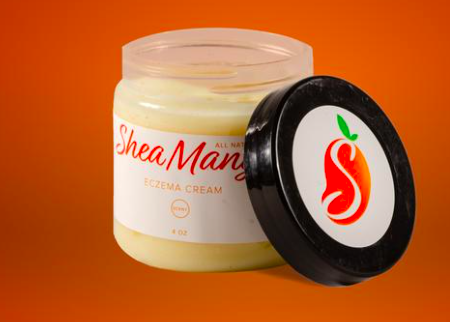 While SheaMango, Whipped Cream’s first line of skin care products, features a topical eczema cream, the majority of their product line aren’t just for those who suffer from skin problems. Cordell recently received a grant to help promote more African-American entrepreneurship. “I want to be the beginning of a new wave and find local talent to be the catalyst for that kind of change,” he says. Cordell has had a hard time reconciling himself with the way others have perceived his move to entrepreneurship. “When you’re out there with people who don’t know about the entrepreneurship world, they’re like, ‘You’re really doing that? Are you sure?’” Cordell said, shaking his head. “I left a corporate job that gave me a nice house, good money, and a lot of benefits. People didn’t understand why I gave that up to do my own thing. I think when people get comfortable, they start to lose sight of their true potential. They told me I was taking a step backward, and that made me laugh. I’m taking a step forward and chasing my dreams!” he said, grinning. That’s why Cordell has loved every day at the iLab with other entrepreneurs. “Being in an environment where you know everyone is also brainstorming and building their own business means that no one’s looking at you funny,” he says. 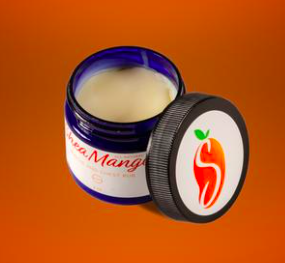 If you’re interested in what Whipped Cream or what the SheaMango product line has to offer, you can read about and order SheaMango products here. Cordell Fortune identifies himself as “a husband, a father, and a lifelong native of Charlottesville.” He started entrepreneurship early on -- as a teenager, he went door to door selling incense and essential oils that he bottled himself. Previously, Cordell worked in the hotel business for 6 years.